All 100 seats up for election. Currently 51 Republicans, 49 Democrats. All 40 seats up for election. Currently 21 Republicans, 19 Democrats. VA State Senators have 4 year terms. VA HOD/SSD overlay Purple/gray areas show Dem/Rep split in House and Senate districts. 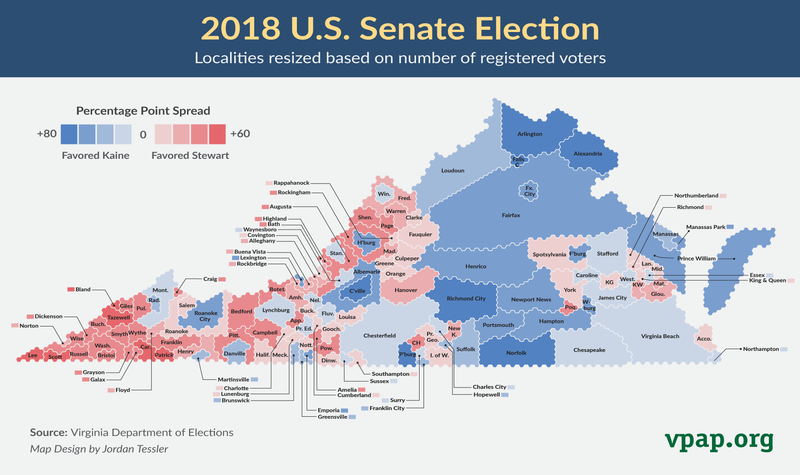 VA Congressional Districts Districts 2, 7, 10 flipped Blue in 2018. Darker color indicates higher vote percentage.